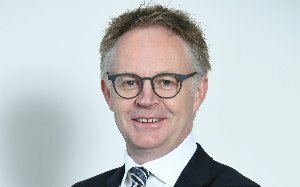 Fidelity Life says its new adviser programme will help smooth the way to the new licensing regime. The programme is designed to help them offer great customer outcomes and to support their businesses long-term. Building Better Business involves a Fidelity team working with advisers to identify governance, sales and operational opportunities in adviser businesses. Advisers complete a questionnaire, receive an action plan from Fidelity Life, complete training modules and work with a business manager on an ongoing basis. The programme is led by head of professional development Trecia Brown and professional development manager Leigh Austin. It will be delivered by business managers Peter Warfield and Mike Whitehead in Auckland, Andrea Reid in Waikato/Bay of Plenty, Jenn Quinn in Wellington, Taranaki, Manawatu and Hawke's Bay, Gary Binnie in Canterbury and the upper South Island and David Telfer in Otago/Southland. Fidelity Life said Building Better Businesses would help to smooth advisers' transition to the new financial advice regime "and, more importantly, set you up for a sustainable and successful future, with the customer at the centre of everything you do."